Shuttle bus ticket will be available for purchase via ShareTransport app (See instructions below). 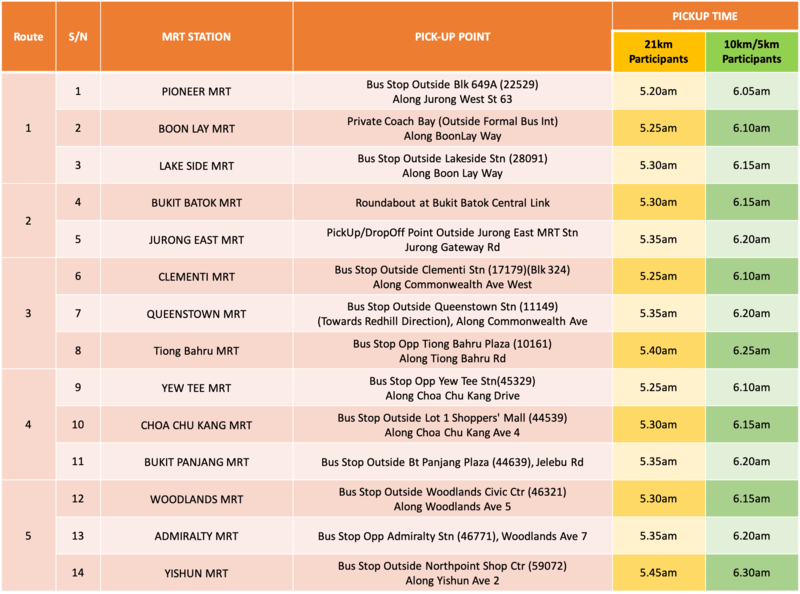 S$6* for a one-way shuttle bus transfer from selected MRT station to event ground. * Promotional price is valid til 21 April 2019. 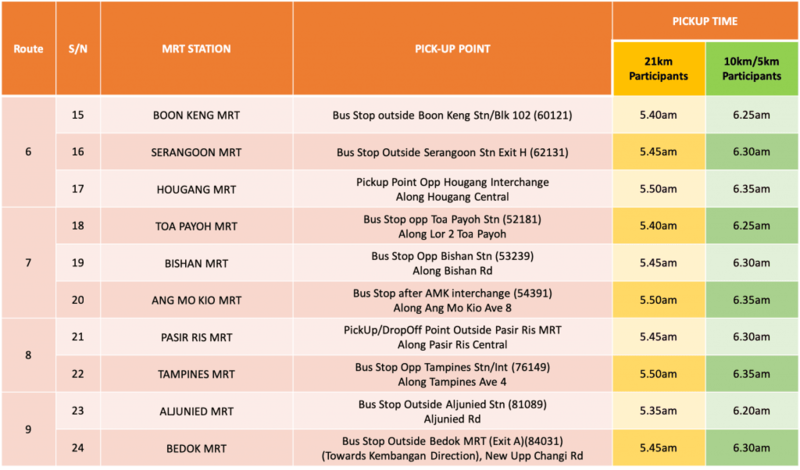 Normal rate is S$8.00. 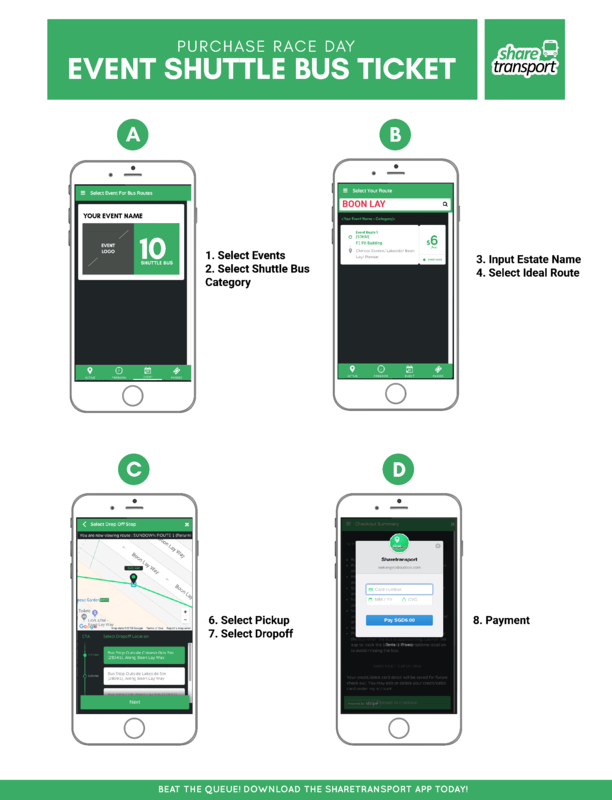 Download App by scanning QR Code on the left or visit ShareTransport website. 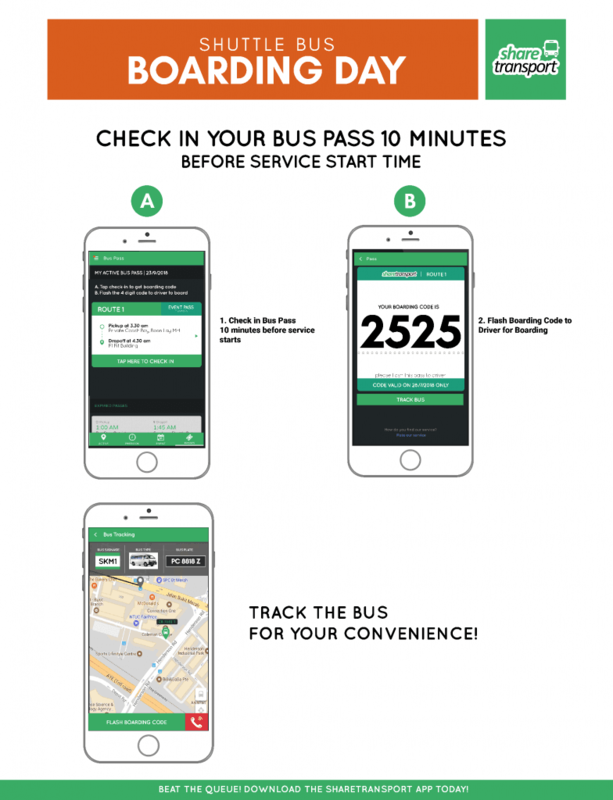 ShareTransport is an app based bus pooling operator and ticketing platform for various major sporting events in Singapore. 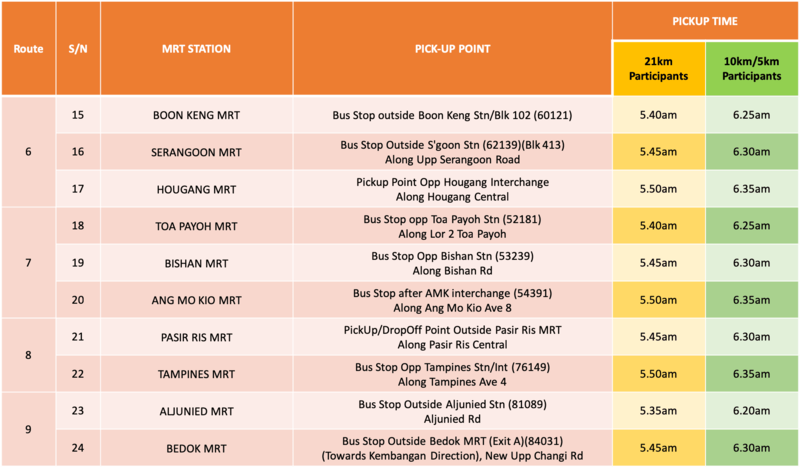 ShareTransport offers more than 100 bus routes from various housing estates in Singapore to offices from your Monday to Friday towards business districts like Shenton Way, Mapletree Business City, International Business Park and many more!